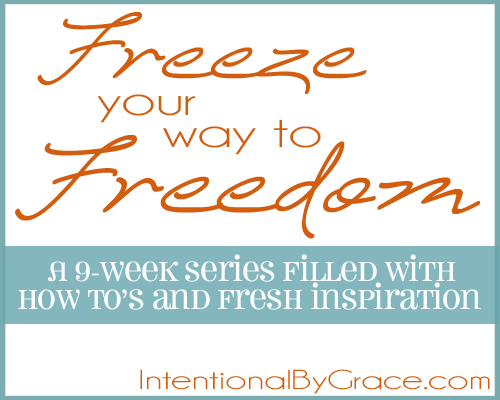 Below you will find all the posts on Intentional By Grace about Freezer Cooking. See all our archives here. Thanks for this post! I was just thinking today about doing more freezer cooking. I work full time and have two young kids. I’ve been trying to cook more often, but I usually prep the night before and I’m having to sacrifice sleep to do it. I bought your 20-Minute Meals ebook and plan to start cooking from it soon! Oh I hope the 20MM helps! Can food lost nutrients with Freezing process? Is this only for low cooking movement, or normal cooking too? I am vegan, that’s work for me? The purpose of that is just saving time?